Maybe Used we can't tell for certain because it is in perfect condition, all pictures are of the item for sale here! The Wolverine DM 360™ was developed in response to requests from tactical officer’s desire for 360 degree hard armor protection. 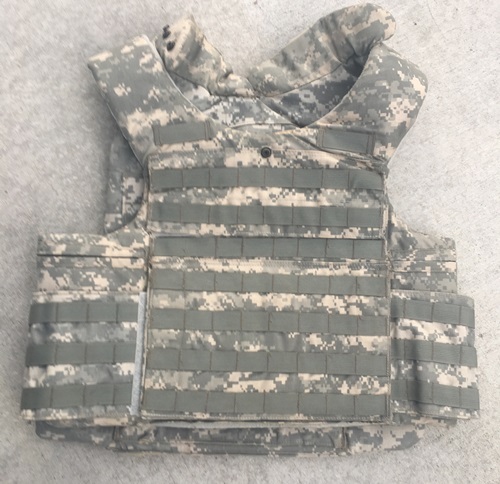 We also included features desired by the army in its pursuit of its next generation body armor, the IOTV (Improved Outer Tactical Vest). The Wolverine DM 360 is very similar to the IOTV & MTV with its side opening style, increased surface area protection, integrated side plate carriers (pockets) and increased area for MOLLE. This vest is state-of-the-art for the tactical officer or military operator alike and can be customized with options to suit mission needs. A fully loaded Wolverine DM 360 is truly a “soldier as a system” design.